It is challenging to find a bank that will accept you after you have had issues with your checking account. This is so because most banks use ChexSystems to track your checking history when you apply for an account. However, there are banks that will still accept you even with a bad ChexSystems record as can be seen on our list later on this guide. There are many reasons why you can be banned from financial institutions including insufficient funds and excessive overdrafting among others as seen on ChexSystems . You have different options, mostly in online banks that don´t use ChexSystems to qualify applicants. Each of these banks offer different perks. Having a no Chex Systems banks account is paramount even when you have an active account with a bank that uses ChexSystems. Sometimes, banks that qualify applicants with the ChexSystems may conduct a sweep and you end up having no records. This can trouble you when your account has been frozen and you had all your money there; it takes as much as 30 days for you to access your account. Irrespective of your past in finances, you can still access banking services. We have prepared a list of the banks where you can take your bad ChexSystems records. However, just like any other business, the terms of service of these banks is bound to change. So, What is ChexSystems and how does it affect you? 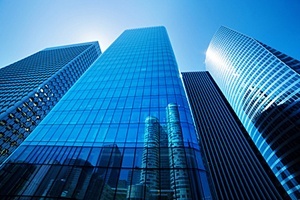 ChexSystems is a database that financial institutions use to determine whether applicants are too great a risk to them . The system is regulated by the Fair Credit Reporting Act. Banks report to the ChexSystems when one of their customers is having issues, which may lead to bank account closure or the customer is having overdrafts. This system should not be confused with credit reports; the ChexSystems does not have a history of your bad or your good behavior, and instead, features all the issues you have had with banks in the past. A bank can report you to ChexSystems if you have repeatedly bounced checks, if your account has been closed due to negative balances or you lied when opening a bank account. What Does Your ChexSystems Record Contain? A ChexSystems record is a database that states all the issues you have ever had with banks. The record will state whether you owe money to another bank, clearly stating the reason. The record stays online for up to five years. You can request for your ChexSystems report if you have been denied an account in the past six months. I Have A ChexSystems Record And I Need A Bank Account , What Should I Do? Once you have been reported to the ChexSystems, most banks, except non ChexSystems banks will bar your applications, but there is still a way to get a bank account as explained below. There are banks that consider your credit history when approving your application while others use other criteria but never the ChexSystems ; you can choose one of these banks and open a regular account with them. One of these banks, and the one we recommend is BBVA Compass ClearChoice Free Checking Account. The good thing with BBVA is that it considers people with ChexSystems records and even has services crafted for them. With BBVA, you are guaranteed of a fully-featured checking account with no limitations at all. If, for any reason, your BBVA checking account application is denied, you will be offered the chance of opening a Compass Easy Checking Account, which is a second-chance account. The Compass Easy Checking Account is crafted specially for people with ChexSystems issues. If you have ChexSystems issues, there are banks that offer you a redemption chance with a second chance account; this account and its features are crafted for people with ChexSystems records. Here, we recommend BBVA'S Easy Checking Account. This account is designed to take those with credit and ChexSystems issues . First off, however, you need to apply for the regular BBVA Free Checking account; if it is approved, your problem is solved. If your request, however, does not go through, consider the Easy Checking Account. The latter is different from the Free Checking account in that there are a few limitations and you will be required to pay a meager monthly fee. This is not different from applying for a non-free checking bank account from most mainstream banks. To solve the whole problem, however, you can dispute your ChexSystems record and have it removed. This is a great way because it gets rid of the problem once and for all; you can now apply to any bank you want. However, it is important to realize that though banks like BBVA do not concentrate much on your ChexSystems record, they check other services that keep track of your credit. Before disputing your ChexSystems report, therefore, it is important that you check your credit score and know where you stand. Even after disputing your ChexSystems record, with a bad credit score, you may not get to open an account . If you have a bad ChexSystems record and a clean credit report, your chances of successfully disputing your ChexSystems record are high. Note that ChexSystems and credit reports are not related. If you cannot open a traditional checking account with a bank, you should consider online and mobile savings accounts. These operate like banks online only with a few limitations. There are a high number of accounts that you can operate online and on your mobile without the need to have a good credit score or even when you have ChexSystems systems. Unlike traditional banks, online and mobile banking services do not require your presence at their premises. With this option, you may not save or withdraw a large sum of money. A good example is eWallet, Prepaid cards and Bitcoin among others. The non ChexSystems bank list below outlines renowned banks that allow you to open an account even when you have ChexSystems record. BBVA Compass is one of the most renowned 25 banks in USA. However, the bank only operates in 7 states. It features in this list thanks to its great features and the fact that it accepts those with ChexSystems problems. The bank, which has been in operation since 2007, has a total of 688 branches with half of these being in Texas. If you live in Texas, Alabama, New Mexico, Colorado, Florida, California and Arizona, you can access the services offered by BBVA. Anyone living outside these states cannot access the services of the bank. The BBVA free checking account is a good choice if you live in any of these seven states. BBVA offered five checking account options for you to choose from. The basic of them all is the free checking account, which is what we recommend you start with. There is also a paid checking account for those who cannot access the first account due to their ChexSystems record; this is the Easy Checking account. There is also an interest checking account that you might consider. If you need a prepaid debit card, you might consider the BBVA ClearSpend Prepaid Visa Account. There are premium checking accounts available for those who are interested. With a premium account, you get 2 automatic rebates on ATM fees and your money earns interest. This premium checking account costs $15 while the interest checking account costs $25 a month. As earlier mentioned, the standard BBVA checking account is offered free. It is the first one that users try opening and only move to try others when the free account has been denied. BBVA Compass has 1000 ATMs. Ergo, you need to ensure that there is an ATM machine near you lest you are charged $2.50 for withdrawing from an ATM not in the network. You can also check from a few stores to see whether they offer cash-back with any fees. There are no monthly service charges with a free account and there are no charges for using the BBVA ATMs. One of the reasons why we recommend BBVA is that it offers convenience. The ClearConnect checking account works with BBVA Wallet; this is an app that lets you manage your money by creating a budget that goes with your needs and your available money. This is a straight forward account that does not require any service fees. 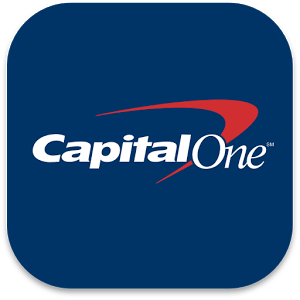 Opening a Capital One 360 account is easy even with ChexSystems record. The bank considers your ChexSystems record but that is not the only thing they check; they also check your credit score and your EWS report too. Unless you have been reported to have a history of fraud, you can open an account with this bank. Besides the high minimum initial deposit of $500, the account offers you a great chance to bank and enjoy great features including high interests. This is one of the banks in this list that uses ChexSystems but it is less stringent as compared to other banks. The bank allows you to open a Rewards Card Checking Account. However, you have to have criminal or fraud records. Again, your former account charges should be less than $2000. You will be charged $9.95 as monthly account maintenance fee and recurring direct deposits every month. • After a year of having a solid report, you can apply for an account with lesser fees. This is a bank for those who reside in Mississippi, Tennessee, Georgia and Alabama. The bank does not consider ChexSystems, EWS or Telecheck when approving your account, but instead ,offers you an account as long as you do not owe any money to any bank. You will require a minimum initial deposit of $50 and a monthly maintenance charge of $7.50 unless you are able to keep your monthly deposits above $500. 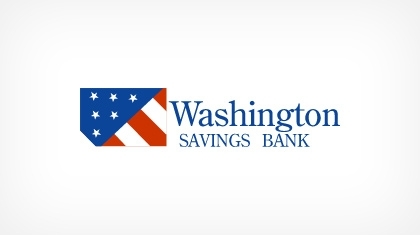 True to its name, this bank serves active and retired members of the military. These include National Guard, Armed Forces, Coast Guard and Department of Defense. If you are in this category of bank customers, NFCU offers you a great option. It does not use EWS or ChexSystems when approving your application. Opening an account with NFCU does not require an initial deposit and you will be offered a free checking account; no monthly or annual maintenance fees. As long as you don't have a history of fraud, you can get an account with People Cash Solutions with ease. This is a bank that accepts individuals with Telecheck and ChexSystems records. Even better, the bank offers an account to people with bad credit and those who are bankrupt. People Cash Solutions charge a monthly fee of $4.95 and it offers unlimited checks and a MasterCard debit card. This is another option that offers an account to those with ChexSystems record. TD Ameritrade account is an account crafted for those with ChexSystems. There is one catch though, for you to open Ameritrade account, you need to have opened a brokerage account. Once you have created a brokerage account, you can sign for a checking account separately. TD Bank operates as a brokerage. 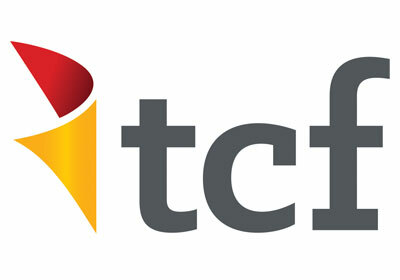 TCF is a bank for those who reside in Colorado, Arizona, Michigan, South Dakota, Wisconsin, Illinois and Minnesota. The bank allows you to open an account as long as you do not owe the bank. However, TCF considers EWS records and your application may be rejected based on that. United is one of the banks that do not check ChexSystems at all. The bank operates in Maryland, Ohio, Virginia, Pennsylvania, Washington DC and West Virginia. After opening the checking account, you can upgrade to a rewards checking account that allows you to earn discounts and cashback rewards on theme parks, movies and prescriptions. FSNB is a great option; it does not use ChexSystems and it does not require you to be in the military to apply. You will get a free checking account once you are approved. You will require $5 minimum initial deposit. Though the checking account is free, you will require a daily minimum of $75, otherwise, you will be levied a charge of $5.50 every month. The bank offers you a free Visa CheckCard and you have access to online banking services. First Convenience Bank operates in New Mexico, Arizona and Texas. They offer a free non ChexSystems checking account if you maintain a daily minimum of $100 otherwise, you will be charged $12 per monthly account maintenance fee. If you have a recurring minimum deposit of $100, you will also enjoy a free account with no maintenance fees. When applying for the account, the bank does not consider ChexSystems, EWS or even Telecheck. You will require a minimum initial deposit of $1. Suntrust has been recorded as using ChexSystems; it depends with the severity of the ChexSystems issue that you have. If you have had fraud issues, you cannot get approved. The bank offers a variety of checking account to their customers, but with ChexSystems record, you should start with Essential Checking Account. Checking accounts are free; all you need to do is meet one of the conditions the bank has set. If you fail to meet the conditions, you pay a monthly account maintenance fee of $7. The conditions state that you must maintain a minimum deposit of $500 or have a minimum recurring monthly deposit of $500. USA is a bank for military families serving retired members of the military, their spouses and their children. The bank also serves members of the National Guard. To start with, you will need a minimum initial deposit of $25 and you are not required to maintain any minimum balance. The bank does not require any monthly services fees. Once your account has been opened, you can take advantages of free ATMs, overdraft protection and mobile check deposits. Though the bank does not use ChexSystems, it uses EWS when screening applications. Woodforest is for Texas residents; it is a regional bank. It offers you a chance to open an account when you have ChexSystems record and even offers second chance checking accounts. You will be offered an account when you walk into any of the bank branches. With Woodforest, the minimum initial deposit is $25 and you will be required to pay a one-off account setup fee of $9. With direct deposits, the monthly service fee is $9.95 and without direct deposits, you pay a monthly fee of $11.95. Second chance accounts act like bridges between the world of banking and those who do not have access to banking services solely because of their past finance history. There are about 16 million Americans without access to banking services. Banks will always reject applications due to the applicants' flawed financial history. Second chance checking accounts offer you fresh start checking. When you do not have a bank account, you tend to rely on prepaid debit cards and check cashing services, which are costly. With banks that offer second chance banking, you are guaranteed of low or even no minimum balance requirements. The benefit is that you can upgrade your second chance account to a regular account of your choice and do not have fees or negative balances within a period of 1 year. Unlike regular checking accounts, second chance accounts come with more limitations and have monthly service fees that cannot be waived. These accounts help you rebuild your banking history but they do not have any impact on your credit report . Non ChexSystems Credit Unions and banks that don't use early warning services differ from banks offering second chance banking. Second chance banking will be offered by any bank whether it uses ChexSystems or it doesn't. Below is a list of second chance banks that offer you a place to start. BBVA offers Free Checking account to those with ChexSystems problems. Unlike other banks, BBVA does not impose all the limitations that other banks impose on account holders. There are three checking accounts you can open with BBVA; Free Checking Account, Easy Checking and Clear Choice Savings. When you have ChexSystems, apply for the basic second chance checking account, the Free Checking Account, if your application is denied, move on to apply for other account such as the ClearChoice Savings Account. The ClearChoice account is for those who want to earn interest with the money that sits in their bank account. The account is free if you are able to maintain a daily balance of $500 or more or you are able to transfer at least $25 every month from your checking account to your ClearChoice account. This bank offer redemption when you have ChexSystems record, EWS or Telecheck. It is one bank that takes in all customers as long as they do not have a history of fraud. The bank even takes those who are bankrupt and those whose credit report is bad. Only a service charge of $4.95 per month will be levied. The US Bank poses as one of the most popular 25 banks in the US. There are a host of stories and testimonials online with consumers saying that they were able to open a bank account even with bad credit. The bank considers ChexSystems but not as strictly as other banks, and thereby offers second chance banking at a monthly service fee. Woodforest offers an account specially designed for those with ChexSystems, EWS and Telecheck problems. Their Second Chance Checking offers a great chance or redemption to those with problems. There are limitations and service fees and on top of that, you get unlimited checks, a personalized debit MasterCard and regular banking features. Nevertheless, you will not be able to access bank services online and you have to go to the bank in person. Unfortunately for consumers, this bank is not a national bank and it is not available in most states. The first step is in verifying the information on your ChexSystems report; print a copy from ChexSystems and go through it screening all the details to look for any inaccurate information. If any of the information offered on your report is not accurate, you will need to get the necessary documents as evidence . When a part or the entire report contains inaccurate details, you will need to write to ChexSystems informing them of the wrong details provided on their database. When writing a letter to ChexSystems, include the necessary documentation as proof of inaccuracy. The letter needs to be detailed and precise, outlining all the information that is wrong and why you need it withdrawn in entirety. The best way is to include a copy of the report you earlier acquired highlighting the inaccurate details. You can contact the bank or the credit unions involved and ask them to rectify the information they provided ChexSystems. Disputes can also be handled on phone but provision of documents for evidence will have to be done by mail. When sending a letter to the bank or to ChexSystems, ensure you use certified mail as you will have a proof of delivery. What Happens after You Dispute? It will take ChexSystems between 30 and 45 days to investigate your claims. If your claim does not have the necessary evidence backing, ChexSystems will ignore it, and no investigation will be done. In case your documents look realistic, an investigation will be conducted and the findings sent to the reporting institution or bank for further action. The reporting institution will confirm the claims and send their findings to ChexSystems, which then removes your record or declines the claims. What Other Alternatives Are There When I Failed To Open A Traditional US Bank Account? Sometimes, getting a checking account while on ChexSystems is a challenge. You may wonder what bank does not use ChexSystems and after finding one, other factors such as credit report fail you. This is where you resolve to using other methods. However, some of these alternative banking methods are a bit costly. Prepaid cards are easy to get since there is no credit check and there is no ChexSystems check. They offer a way to manage finances . However, most of the cards charge relatively high fees for services such as withdrawals. Again, the cards do not impact your credit report. Generally, you will never find a prepaid card without fees, but their benefits outweigh their disadvantages. A secured card allows you access to services you would get with a traditional bank account. Approval is easy as no credit check is required. With the card, you can make deposits, you can pay your bills, wire money, money order or check, and a number of other services. The good thing with the cards is that they contribute to your credit score. Online Money savings and transfer services have grown tremendously in the past few years. The services allow you to make digital transactions; you can deposit money, send it or even use the account for savings . You can invest with your money by opening a brokerage account. Though this is not the best option when you frequently withdraw money, it is an option that allows you to save the money and access it later, having grown. This is a good option especially if you transact a lot of money. You can choose international or foreign bank accounts in other countries. The good this is, ChexSystems will not apply there and you will be screened against a different criterion. However, most foreign banks will consider your credit report. This is digital currency. Just like when you are running an eWallet account, transacting in Bitcoins does not require a credit check and does not require ChexSystems. You only need to load Bitcoins and start transacting. You can save bitcoins and you can deposit, withdraw or send. If you appear on ChexSystems, you can dispute, have a bank that does not consider ChexSystems or open a second chance account. If all that fails, look for other options that do not involve a conventional bank such as eWallet. It is recommended that you always check your checking history . However, before you resolve to use costly options as prepaid cards, you should check out BBVA Compass. The company will offer you redemption while allowing the privilege of enjoying services you would otherwise enjoy with a regular bank account. 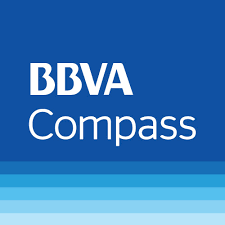 I recommend BBVA Compass.